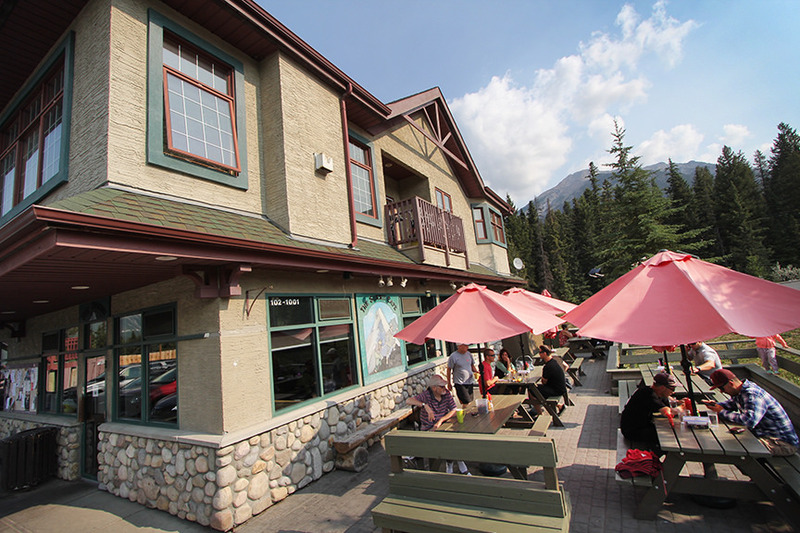 The Summit Cafe will be taking part in this year’s Canmore Uncorked Food and Drink Festival and we could not be more delighted. To celebrate this local favourite’s involvement, we sat down with owner, Jennifer Shean Van Allen, to chat about The Summit itself and what we can expect from their Uncorked Experience this year. In true Summit fashion, you know you can expect delicious, Mexican style breakfasts and lunches. But first, let’s talk about why The Summit is so very special to Canmore’s locals and visitors. The Summit serves a tried-and-true lineup of creative, Mexican-inspired breakfast and lunch dishes along with baked goods and warm beverages. Anyone who’s ever been to The Summit likely has a “usual,” a go-to dish that they order without a second thought. Whether it be the Mexi Eggs, Summit Club, or Amigos, people fall head-over-heels for these creative spins on traditional dishes. Locals love The Summit because they know exactly what they’re getting: friendly faces, a warm welcome, and their ‘usual.’ “I’m often asked ‘why don’t you ever change your menu?’ The thing is, we can’t. The people want what they want. Having a special every day allows us to have some creativity, but we can’t change the staples.” The consistently wonderful atmosphere and food at The Summit are what has generated such inspiring, ongoing support from the community. So, what will The Summit be bringing to the table for this year’s Canmore Uncorked Experience? Good question! Jen told us, “last year’s experience was great! It was our first year. We had a Huevos Rancehos special, we sold 87 of them, so I’d say it was a huge success! It kick-started the summer and kept rolling after that.” So, what’s the word for this year? “We’re going to do the Huevos again! We’ll also have a drink special, whether that be a latte like last year, coffee, or tea, we’ve yet to decide!” The Summit is the perfect testimonial to the saying “if it ain’t broke, don’t fix it!” And for good reason. “It’s hard to change something that works. People come in, they know what they’re getting, and that’s what we do.” The Summit has a solid menu of unbeatable dishes that locals and visitors have been enjoying for nearly 2 decades. So, why change? Expect everyone’s favourite Huevos at a discount for this year’s Uncorked Experience. Come on down and see why everyone love’s The Summit and their Huevos. HUEVOS RANCHEROS, flour torilla topped with housemade beans, hashbrowns, and 2 eggs over easy. Baked with our delicious salsa and cheddar, topped with sour cream and guacamole. The only question is…can you wait until Canmore Uncorked to try it?